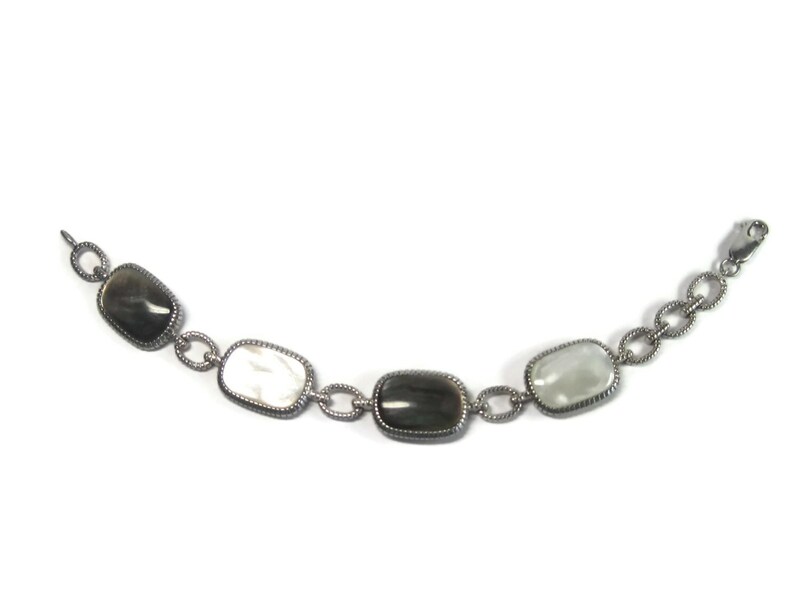 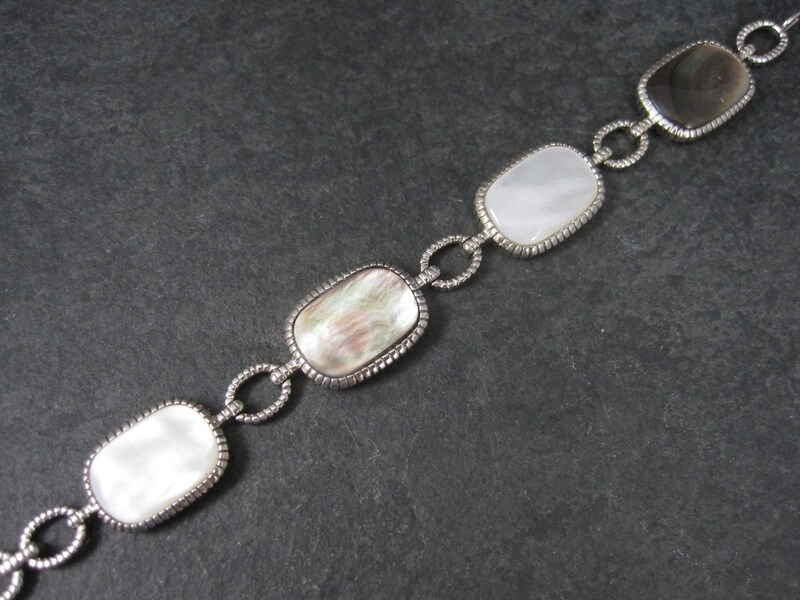 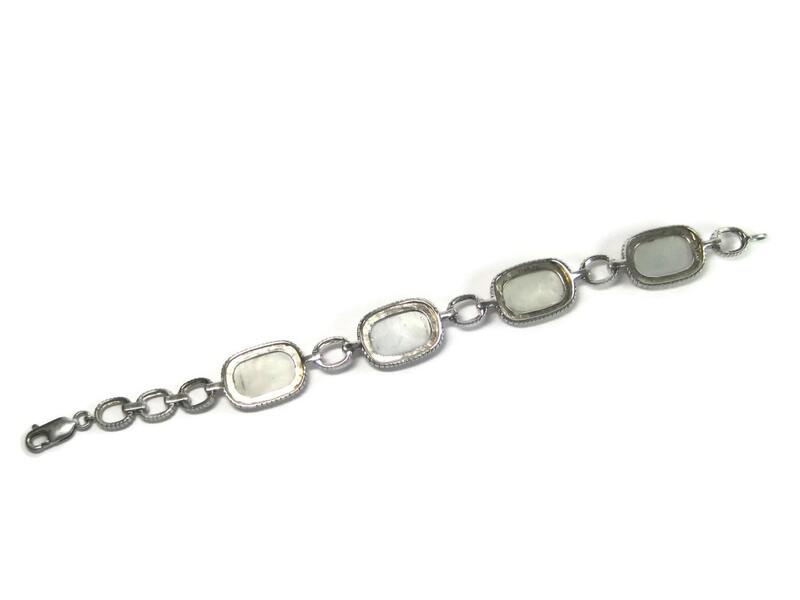 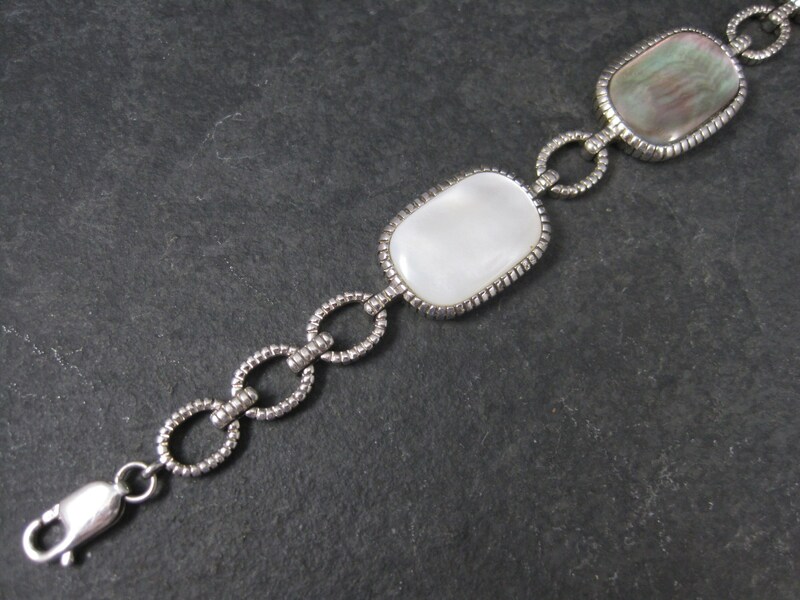 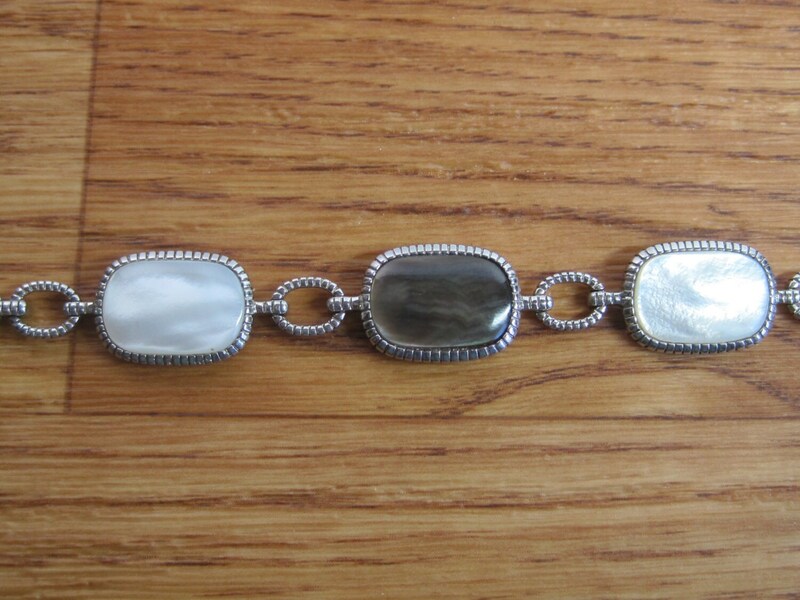 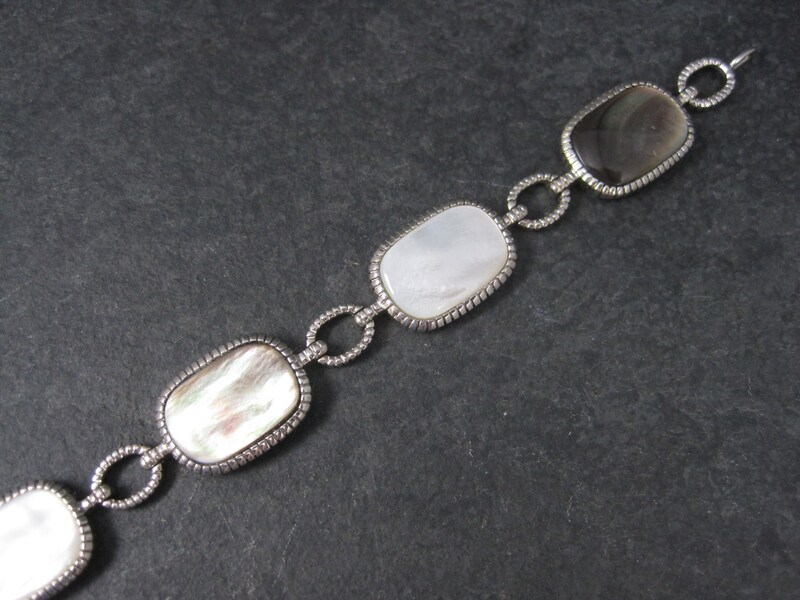 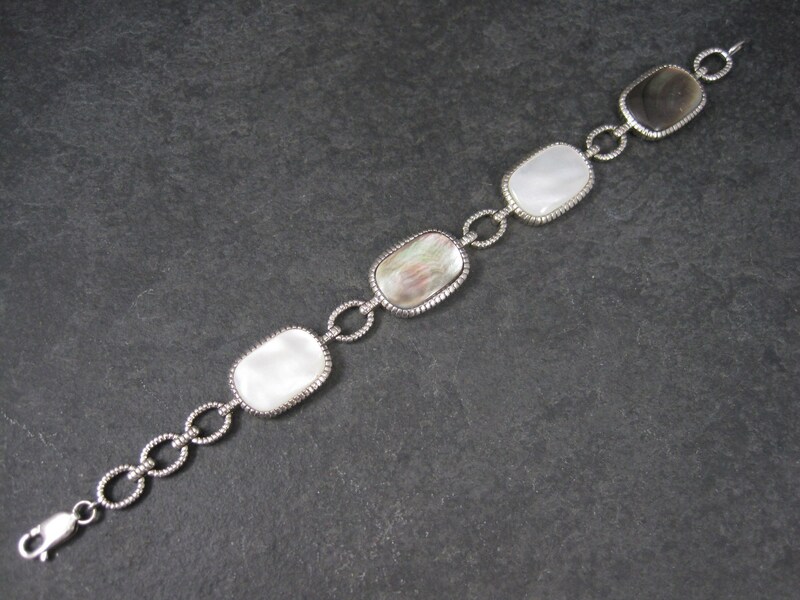 This gorgeous 90s bracelet features alternating links of white and dark mother of pearl in textured sterling silver. 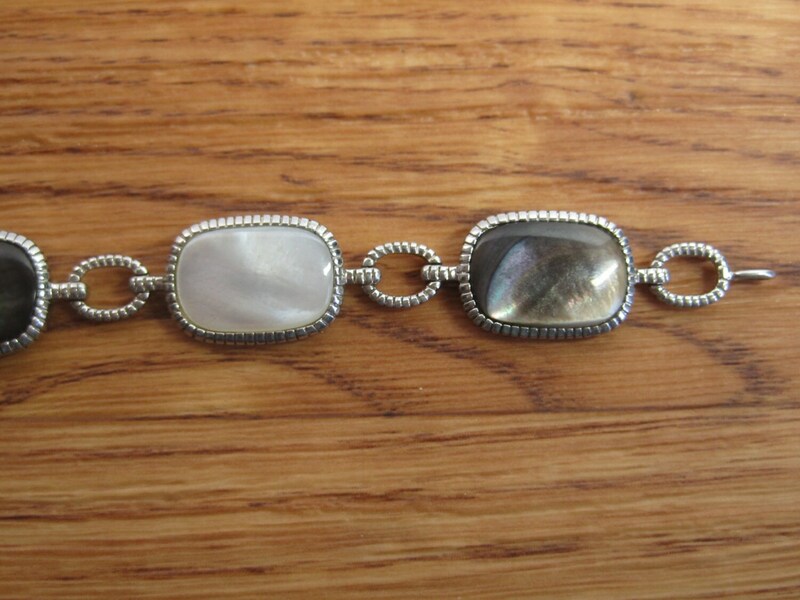 At its widest, the bracelet measures 5/8ths of an inch wide. 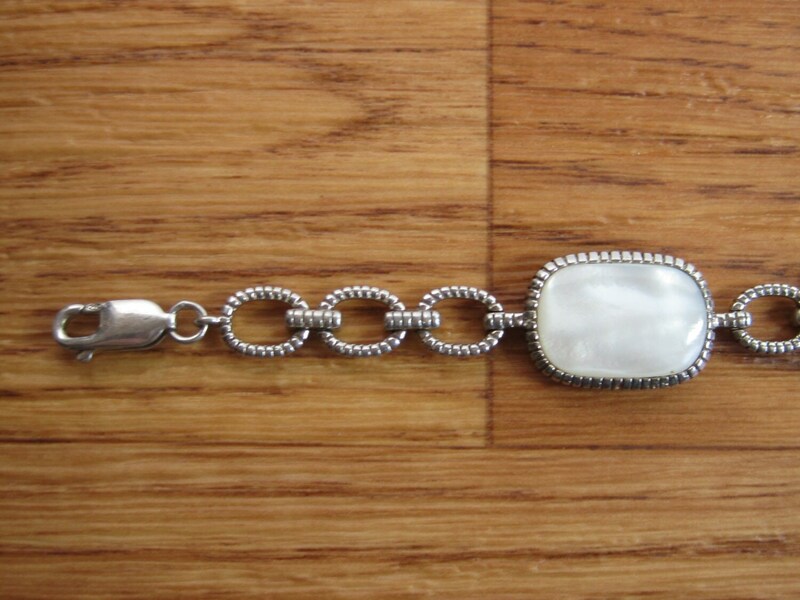 It is 7.5 inches from end to end.